Despite underpopulation, does OSU have the right to experiment on federally protected wild horses and burros or are they breaking the law? Is Oregon State University about to embark it their biggest PR nightmare? I understand that Oregon State University is involved in research on wild horses and burros. Is this true? Yes. The Bureau of Land Management (BLM) awarded Oregon State University money to help study fertility-control methods for wild horses and burros. In 2014, the BLM asked for research proposals from a variety of scientific groups across the nation to help address the high population growth rates of wild horses and burros, including veterinarians, scientists, universities, pharmaceutical companies, and other research entities. Additional details can be found here. Since then, the BLM has provided awards to support over 20 projects. Five universities with college of veterinary medicine programs received awards. Proposals from OSU were selected based on the quality of science, the expertise of the research investigator and the potential impact of the research. Oregon State University faculty were among those that submitted proposals to the BLM to help slow and stabilize the population growth rate of wild horses and burros. The BLM announced its decision on June 27 to proceed with the research to be conducted by Oregon State faculty. Details of that announcement can be found here. How is Oregon State University involved? As a research university, Oregon State conducts studies on important topics, and informs public policy-makers and the general public of those research findings. This research will evaluate minimally invasive, humane, effective, and permanent procedures that would then be reviewed by the BLM as options to maintain sustainable herd levels. Our role is in conducting research to inform BLM policy. Oregon State University’s role is not to develop policy. Why did BLM decide that this type of research was necessary? The Bureau of Land Management (BLM) developed the program after receiving a report with recommendations from a National Academy of Sciences committee, which had been tasked with performing a complete review of the BLM’s Wild Horse and Burro Management Program. The National Academy of Sciences (NAS) published a video summary of that report, “Using Science to Improve the Wild Horse and Burro Program: A Way Forward”. The NAS reports that the population of wild horses and burros is growing beyond the capacity of federal lands to support the health and welfare of these animals. Animals that are not healthy are susceptible to further suffering from disease, malnutrition, dehydration, and death. The BLM is reviewing a range of options to manage the population of these horses and burros at sustainable levels. What did the National Academy of Sciences committee find? The NAS committee emphasized that, on average, the population of wild horses and burros across the west is increasing by 15 – 20% per year, despite ongoing fertility control vaccination programs. The NAS urged the BLM to make wider use of fertility control options that are based on rigorous research. Why would wild horse and burro populations be a concern? The population of wild horses and burros on federal lands is growing beyond the capacity of local, state, and federal resources to support the health and welfare of these animals, and maintain healthy range ecosystems. An illustrated summary of BLM concerns and challenges related to our nation’s wild horses and burros can be found here. What does Oregon State University have to offer? OSU faculty who responded to the BLM’s request for additional research felt very strongly that their contributions would benefit and improve the health and welfare of our wild horses and burros. As a land-grant institution, Oregon State University faculty members often have the expertise needed to address issues that affect Oregon and the nation. Results from this work will be analyzed and published in peer-reviewed forums, in addition to informing the BLM. In this way, the work performed by OSU faculty will be available to the public. For more information about how research is conducted at Oregon State University and academic freedom, please click here. 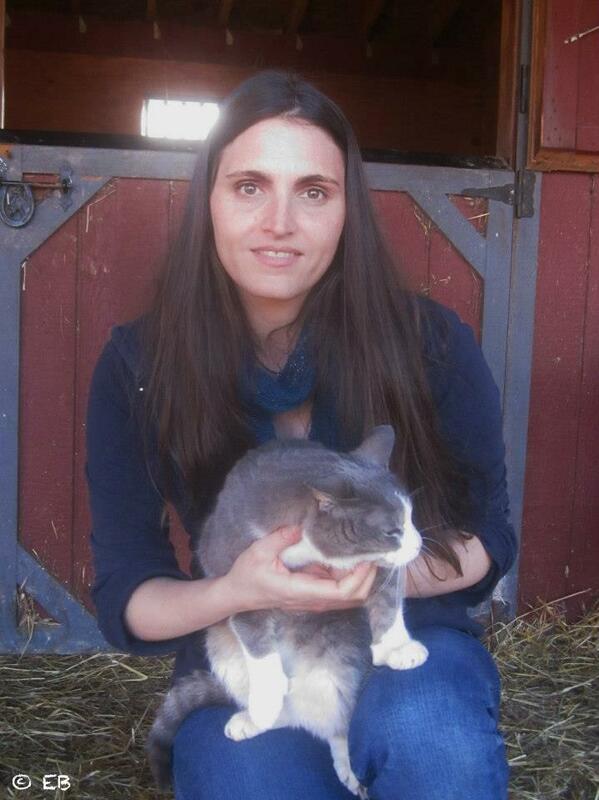 How is animal safety and humane care ensured during research? University-wide commitment to animal care, safety, and welfare is a top priority. Oregon State University recognizes both the importance of animals in research and teaching, and the scientific and ethical responsibilities inherent in the care of those animals. Research activities undertaken by OSU faculty, staff, and students are reviewed and conducted in accordance with strict ethical principles, federal and state laws and regulations, and in compliance with Oregon State institutional policies. Oversight of animal activities associated with OSU is provided by the Institutional Animal Care and Use Committee (IACUC). The IACUC’s main functions are to review, approve, and monitor research protocols, and ensure that animals are cared for according to all applicable federal and state laws, regulations, and Oregon State institutional policies. Oregon State University additionally volunteers to have their animal program reviewed every three years by AAALAC, International, an independent accreditation agency for animal research programs. The accreditation process is very stringent and institutions with AAALAC accreditation are known for their commitment to excellence and humane animal care. What methods are being studied in this research? One study will evaluate the removal of both ovaries without the need for any external skin incisions (ovariectomy via colpotomy). Ovariectomies are commonly used by veterinarians to stop egg production and related reproductive (“heat”) cycles in animals. Another study will evaluate two surgical methods that will interrupt fertilization. Animals undergoing these procedures will still have heat cycles but they will not conceive. Tubal ligation is one method, and the other is oviduct ablation. The use of these methods also avoids the need for external skin incisions. I have concerns about the management of our nation’s wild horses and burros, and I don’t think Oregon State University should be involved. As a research institution, work at Oregon State sometimes involves controversial issues. In this case, research team members have offered their areas of expertise in designing a study whose results will be used to inform policy decisions by the BLM in the management of wild horse and burro populations. Research data provided by Oregon State researchers will be part of the larger group of studies that BLM will consider as it reviews policies and procedures to respond to the 2013 NAS report. More information on BLM management of wild horses and burros can be found here. Who will perform this research? The studies will be conducted by teams of licensed, highly qualified and experienced veterinary surgeons. Are Oregon State students involved in this research? No. Students are not involved in these projects. When was this proposal submitted? Proposals were submitted to the BLM in 2014. How long will this research take to be completed? The research will take place over the next two – five years. How much will be spent on this research? Who will fund this proposed research? The BLM has approved two grants to OSU totaling $348,000. Where will this research be conducted? The research will be conducted at the BLM’s wild horse and burro facility in Hines, OR. How and with whom will these research findings be shared with? Oregon State researchers will report their results to the BLM; will publish findings in other peer-reviewed forums and share the results with the public. Who decides to accept or reject these findings? Or implement them as a standard of future practice? The BLM will make any decisions on future policies and practices. For more information click here.